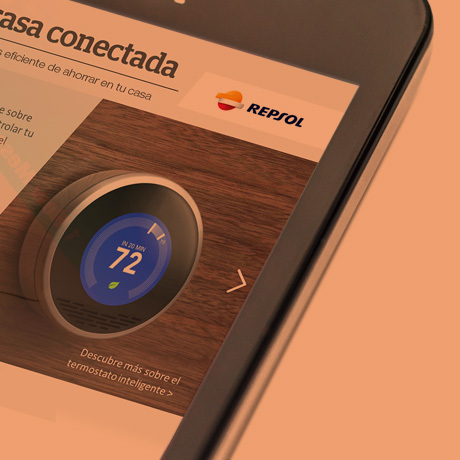 Our challenge was to build a new portfolio of digital services for Repsol, an oil company that focuses on extracting and selling oil around Spain and Portugal. The brief comtemplated to take advantage of the current physical assets of the company to design service propositions and new business models that could create new revenue streams to the company. I was part of the project team formed by 1 business strategist, 1 anthropologist, 1 user experience researcher, 1 design strategist (myself) and 1 project manager. My duties were to define the research plan, conduct qualitative research with users and stakeholders, create the research material, and facilitate the co-creation workshops with the clients along the project, synthesize the data gathered in field, uncover key insights and opportunity areas and eventually design digital service prototypes and their business models. For 6 months we defined a digital innovation strategy based on insights uncovered in user research, stakeholder interviews, market research and technology trend analysis. The process was designed to be extremely collaborative with the client units (innovation, digital marketing and product owners) with several co-creation and prioritization workshops during the design process aiming to find alignment and facilitate the future implementation. To validate every value proposition, we invited potential clients and lead users to shape together the ideas building low fidelity prototypes within generative sessions. After these sessions we were able to define the ideal user journey of the services and iterate the value propositions. The team transformed the insights of the generative sessions in digital mock ups and created revenue projection models for each value proposition selected.
" This project helped us to think out of the box and uncover new business opportunities applying a user centered mindset. 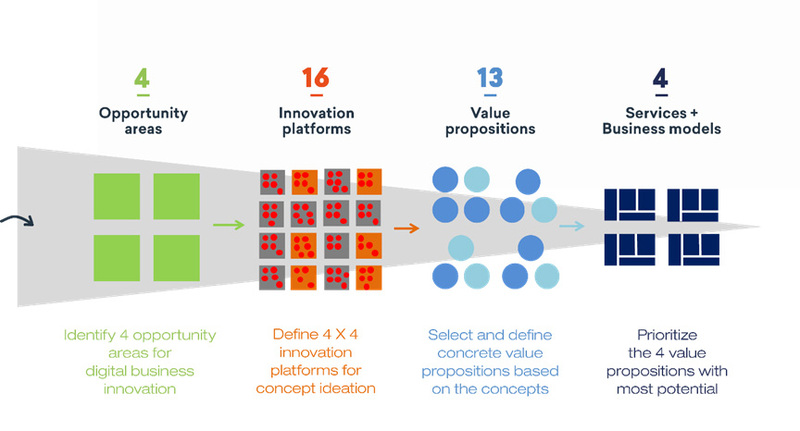 Making ideas tangible helps incredibly to transfer the message and evaluate the business potential of the service"
The results of the project were 4 concrete services based on transformative new business opportunities. The scope ranged from adding a digital layer to existing services to the creation of 100% new digital products. Nowadays, two services are being prototyped and beta tested internally. One of the services will be launched in early 2018. The fourth service is being evaluated for future use. Selling the service vision to potential users helps to shape the value proposition and the final service experience at feature level. Planning from the beginning the type of collaboration and involvement of the client in the different stages of the project helped considerably to achieve the expected results and the feeling of ownership by the client. On the other hand, an agile process could have provided faster user feedback and product iterations during the project. Nevertheless, this depends also on the client willingness to bring the project to reality.